We're pleased to offer a compact, rounded form of the beautiful Oakleaf Hydrangea, sized just right for smaller gardens. Large, upright 9″ flower clusters open white in early summer, then become pale pink and finally, deep rose. In fall, the big show happens when its leaves turn brilliant mahogany. Hydrangea is a valuable genus of some 100 species of shrubs and vines grown for their large and very showy flower heads. Hydrangeas are at their best in summer and fall—quiet time for most woody plants—and are worth having for that reason alone. For information on Hydrangea care, click on Growing Guide. 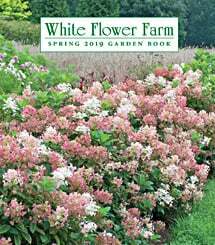 This review is for White Flower Farm and not really for Ruby Slipper Hydrangea. I have several and they are quite stunning. However, what I received from White Flower Farm (WFF) was shocking to say the least. I got 3 one gal specimens which turned out to be 3 INCHES TALL FOR A TOTAL COST OF $112 OR $37 EACH!!!!!!! Fool me once but never, never again. I will never order plants from WFF again and would never recommend them. Any orders should be verified in writing and with photos of the actual specimen. Good Luck with your gardening and hope this helps the next person. Pruning: Little pruning is needed beyond removing any dead wood whenever seen. If desired, plants can be cut back as needed in early spring. Hydrangea quercifolia blooms on old wood.